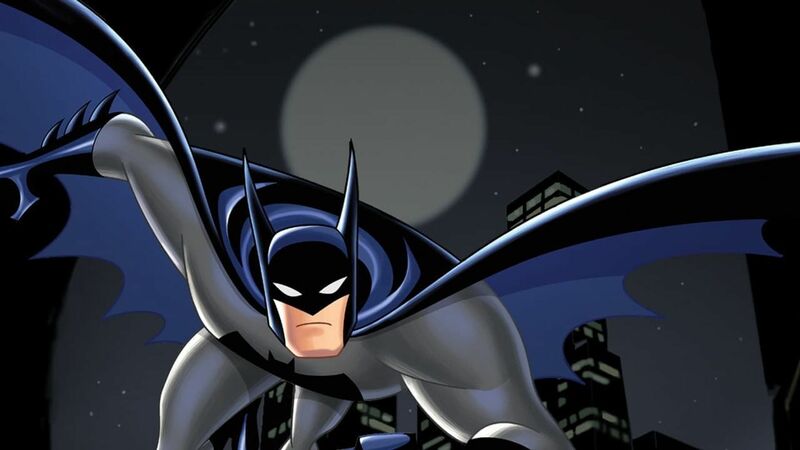 Here's where to watch every episode of The New Batman Adventures season 1. Mouseover or tap an episode to see where to stream it. Click or tap the play icon to stream it on the best available service. Holiday Knights Sep 13, 1997 Three holiday-themed vingettes. 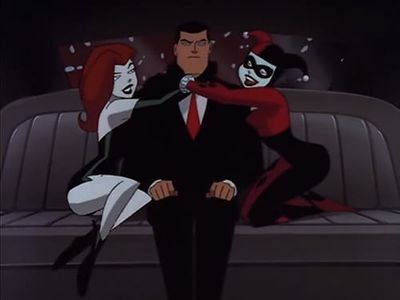 (1) Poison Ivy and Harley Quinn kidnap Bruce Wayne and use his credit cards for a shopping spree. (2) While shopping for a gift for her father, Barbara Gordon spots a group of shoplifters that turn out to be portions of Clayface. (3) Batman and Robin race to stop the Joker from killing the crowd at the Gotham City New Year Celebration. Sins of the Father Sep 20, 1997 Young orphan Tim Drake becomes Batman's new ward when he becomes involved in one of Two-Face's deadly plots. Cold Comfort Oct 11, 1997 After the events in "Sub-Zero" Mr. Freeze has been forced to be bound to a new robotic body. His wife Nora has been revived, but believing him dead, she has remarried and left Gotham. If Freeze can't have a life of happiness, nobody can, so he begins lashing out at the city by destroying what people care about so they can feel the same pain he feels. Never Fear Nov 1, 1997 The Scarecrow develops a new toxin that, rather than inducing fear, eliminates it, making average people incredibly reckless and dangerous. You Scratch My Back Nov 15, 1997 In an effort to further distance himself from Batman, Nightwing tries to go it alone to stop a smuggling ring and gets unexpected help from the seductive Catwoman. Double Talk Nov 22, 1997 Arnold Wesker is released from Arkham, completely free of his Scarface persona. But Scarface's old gang, needing their old boss back, begin working to drive Wesker back to his old ways. Joker's Millions Feb 21, 1998 Crime boss Edward "The King" Barlow dies and in his will leaves his arch-rival, the Joker, a large fortune. Joker immediately goes on a shopping spree, even searching for a replacement for Harley Quinn, but realizes too late that all the money is fake. Growing Pains Feb 28, 1998 Robin fights to protect a young girl with amnesia who is being stalked by her "father", who turns out to be Clayface. Having created the girl from his own body to scout out the city, he now intends to reabsorb her. Mean Seasons Apr 25, 1998 Batman pursues an ex-model, who is now looking for revenge and calling herself "Calendar Girl". The Demon Within May 9, 1998 Batman and Robin assist occultist Jason Blood when Klarion the Witch-boy takes control of Blood's alter-ego, Etrigan the Demon. Over The Edge May 23, 1998 During a fight with the Scarecrow, Batgirl is ambushed on a rooftop and falls to her death. Having watched his daughter's demise, Jim Gordon blames Batman for her fate and vows revenge, even recruiting Bane in the process. Torch Song Jun 13, 1998 A lovelorn pyrotechnic engineer, Garfield Lynns, gets dumped by a big time singer named Cassidy. Lynns becomes the supervillain Firefly, bent on burning the woman who burned him. Love is a Croc Jul 11, 1998 Baby Doll becomes enamored of Killer Croc, and the pair forms a very unlikely yet very successful criminal duo. However, their partnership soon falls apart when Baby Doll learns that Croc is only using her to further his own criminal career.